As an idle, good-natured bachelor, Uncle Buck is the last person you would think of to watch the kids. However, during a family crisis, he is suddenly left in charge of his nephew and nieces. Unaccustomed to suburban life, fun-loving Uncle Buck soon charms his younger relatives Miles and Maizy with his hefty cooking and his new way of doing the laundry. His carefree style does not impress everyone though - especially his rebellious teenage niece, Tia, and his impatient girlfriend, Chanice. 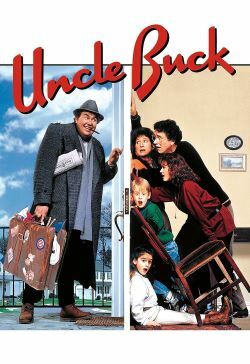 With a little bit of luck and a lot of love, Uncle Buck manages to surprise everyone in this heartwarming family comedy.